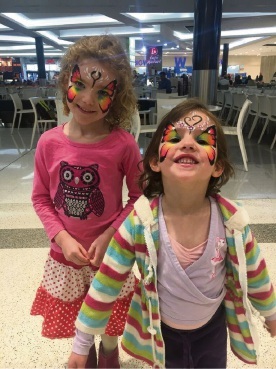 Ruby and Bronte painted as butterflies for the Superhero Saturday fundraiser. TINY superheroes descended on Belmont for a Saturday of fun and games for a good cause. Kids and their parents raised over $3000 for Superhero Saturday at Belmont Forum to support Breast Cancer Care WA late last month. Youngsters made their own comics, played superhero training games, made their own ‘kryptonite’, had their faces painted and more. Breast Cancer Care WA provides free, personalised emotional, practical and financial support to West Australians and their families battling breast cancer.